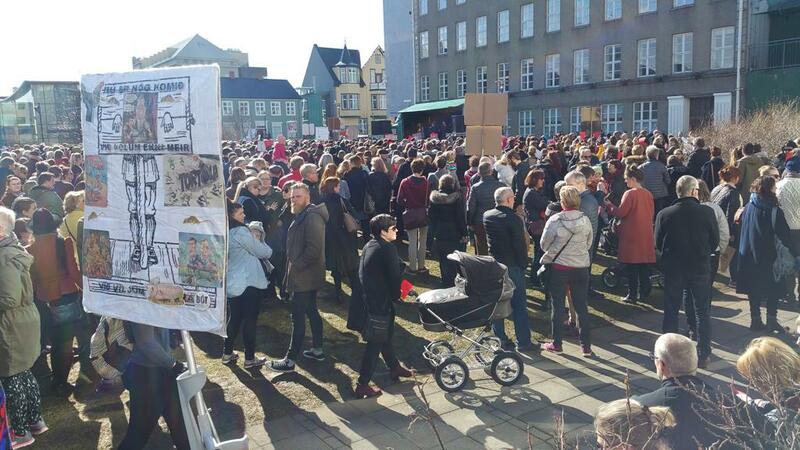 Last week has been difficult for the Icelandic government after the so called Panama papers were made public. A week ago, the National Radio in Iceland (RUV) and Reykjavík Media, a privatly owned media company, published evidences in a TV broadcasting linking offshore accounts to the prime minister of Iceland, Sigmundur Davíð Gunnlaugsson, his wife, the finance minister Bjarni Benediktsson and the minister of the interior Ólöf Nordal. The part when prime minister Sigmundur Davíð Gunnlaugsson walks out of the interview. The program featured an interview with the PM in which he is surprised by questions about his connection to offshore accounts. All of a sudden the PM walked out of the interview as he realized the journalists had all the papers demonstrating his offshore account in British Virgin Islands. 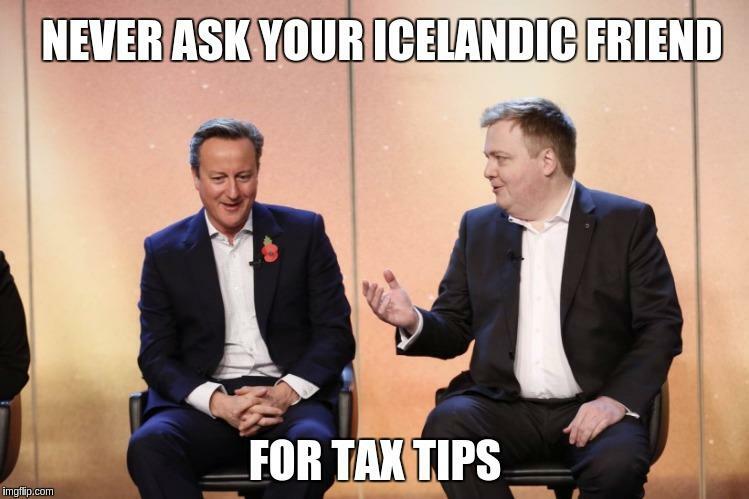 David Cameron has been facing similar questions from the media as the Icelandic prime minister. Since then, the PM has resigned, and new cabin has been formed. People of Iceland went down town to Austurvöllur square, which is the grass field in front of the parliament where people usually enjoy themselves on a sunny day. 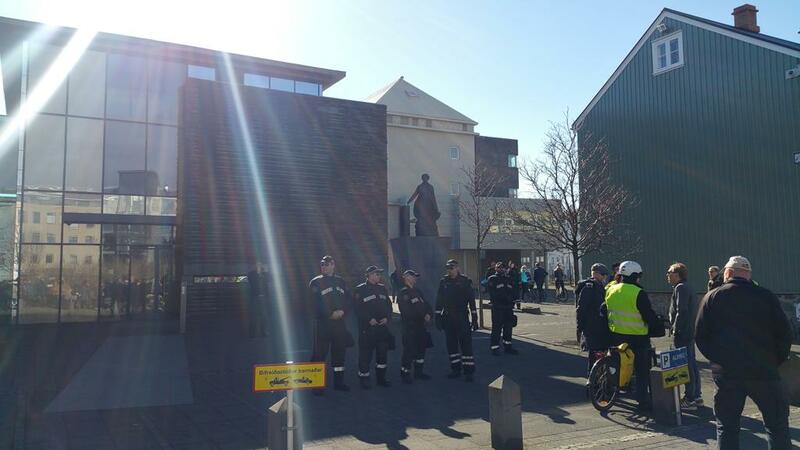 Protests went on every day last week which lead to international attention to what’s happening in Iceland. 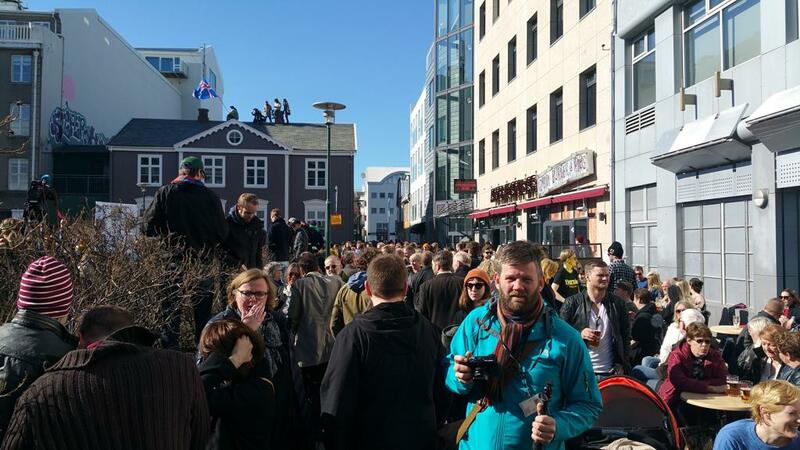 People demonstrating in Austurvöllur square. These demonstration acted like a catalyst on demonstration in other European countries, like Spain and Brittain, but the British PM, David Cameron, has also been linked to offshore accounts. Becaue of the pressure on the Icelandic PM and the consequences he faced, Mr. Cameron has been uneasy for the last days. Police men guarding the parliament. Protestants on the rooftop of Nasa.